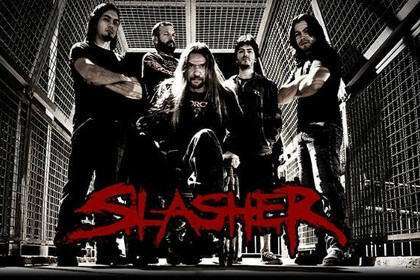 Slasher is a thrash metal band from Brazil. It all started from the great reaction of their EP Broken Faith was released in 2008. 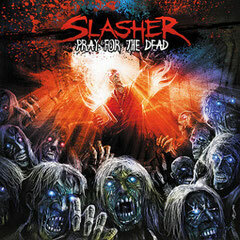 The name of Slasher became public throughout the world by featuring on radios and media not only in the South America but in the North America and Europe. They still dont belong a label but they were selected by representatives from Sony Music, EMI Music, Maquinária and SWU to participate in an compilation in which the band was the only one in the rock/metal genre. Now their debut album Pray For The Dead with 11 tracks produced by Ricardo Piccoli (Shadowside, Kamala), was released in May 2011. The cover artwork was designed by the French artist Stan W-D. They have also an animation video with Hate on YouTube.